To increase the number and quality of stories in the media on the extractive sector, Revenue Watch Institute in partnership with Penplusbytes in Ghana and African Center for Media Excellence (ACME) in Uganda launched the “Strengthening Media Oversight of the Extractive Sectors Pilot Programme” in 2011 with the aim of promoting good governance and an effective oversight of the oil, gas and mining (extractive) resources and revenues and also have a knowledgeable and active media which can hold government to account. Ekow is chief correspondent for Business and Financial Times, an Accra-based newspaper. He covers international business assignments and trains national service personnel and student journalists. Ekow’s ambition is to become a prolific economic and finance journalist whose work meets international reporting standards. He also hopes to become more knowledgeable, experienced and comfortable doing in-depth and analytical reporting. He hopes the RWI training will give him the foundation to critically analyze issues, write constructively about his country’s development and economic performance and monitor trends in the extractive sector in West Africa. Eric is the evening producer for eBusiness Journal on e.TV in Accra. He started practicing as a journalist in 2008 as a reporter for Happy FM. After a year of radio reporting and appearing as a guest on a political talk show, he moved to e.TV as a parliamentary and political correspondent. He also served as e.TV’s morning editor. Eric’s expectation for the RWI training is to improve his ability to communicate business and extractive industry issues to a general audience. Esther is a business reporter with Daily Guide and the weekly Business Guide newspapers in Accra. She started her journalism career in 2005 with the Ghana Broadcasting Corporation Radio. In 2006, she joined Western Publications Limited, publishers of Daily Guide (the company’s flagship outlet), Business Guide, NewsOne and Guide Young Blazers. Her interest in finance and economic reporting won her the best reporter award in the small and micro scale enterprises category of the 15th Ghana Journalists Association (GJA) Awards in 2010. She is constantly looking for opportunities to update her knowledge of the emerging issues in the oil and mining sectors. She sees the RWI training as an opportunity to learn and upgrade her professional skills. She is a member of GJA and the Network of Communication Reporters. Gilbert is the editor of Offshore Ghana, a specialized oil and gas magazine published in Accra. Prior to his present position, he was the editor of Oil & Gas Ghana magazine. From March to September 2010 he worked with The Royal Mail as its editor. From 2006 to 2010, he worked as the legal and human rights correspondent for The Statesman. Gilbert also had a stint as a reporter and newscaster at Channel R FM from 2005 to 2006. He started his career as an intern at The Defender newspaper in 2005. 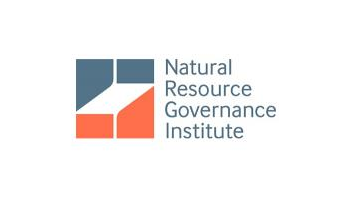 By participating in the RWI training, Gilbert hopes to expand his understanding of the extractive industry and help hold decision-makers in the oil and gas sector accountable to the public. Kofi is a freelance journalist who started out as an environmental specialist in 2001. He has since reported for Daily Graphic, Business and Financial Times, Graphic Showbiz, Spectator and Ghanaian Times. He has also written for the Ghana Broadcasting Corporation’s news commentary. Kofi currently writes a weekly “Going Places” column in The Mirror. During his career, he has covered social issues, art, culture, tourism and the environment. Whatever the subject, his writing hinges on effective storytelling techniques; he hopes to bring this strength to his coverage of the extractive industry. Kofi has won a number of professional accolades including the biodiversity reporting award in 2002 from the International Federation of Environmental Journalists, the Ghana Journalists Association award for arts and tourism in 2010 and CNN/Multichoice African Journalist awards for arts and culture in 2010 and 2011. Kwaku is the western regional correspondent for Joy FM, which he joined in 2007. 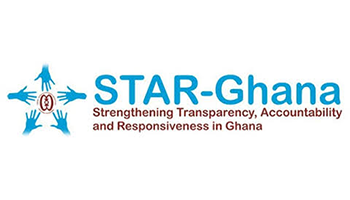 He has investigated and reported several stories exposing the poverty, deprivation and institutional weaknesses in Ghanaian society. His story, “Dying to be Mothers,” won the GJA best rural report award in 2011. “Blood Sacrifice,” about artisanal gold miners, was recognized as the best radio feature at the 2011 GJA awards. Kwaku was also named the GJA journalist of the year in 2011 for his documentaries on Joy FM. He is passionate about development journalism and improving the lives of disadvantaged citizens. 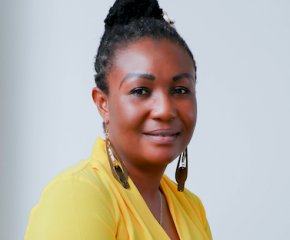 Lydia is chief reporter with Ghana News Agency, a national wire service.She has been with the agency for more than 12 years, reporting on a wide range of subjects including gender, education, politics, health, and most recently, the extractive industry. She has also covered the government’s weekly press conference series. Lydia takes particular interest in social development and has written features on these and related issues. Maxwell reports for Daily Graphic, published in Accra. He specializes in business, finance and economics and writes regularly for Graphic Business, a sister publication of Daily Graphic. Becoming a journalist was always his ambition while growing up in northern Ghana. Maxwell’s goal is to help society understand the business community and to expose the realities that make Ghana and Africa unattractive to business and investment. He hopes to take on this challenge with the benefit of RWI training and better understanding of the critical sector of oil, gas and mining. Edward is a reporter with The Observer, a triweekly English newspaper in Kampala. He has written numerous stories and feature articles on a wide range of topics including Uganda’s oil and gas sector, the environment, climate change, politics and business. Before joining The Observer in 2009, Edward worked with Kagadi Kibaale Community Radio in Kibaale district, western Uganda, as a reporter. He also worked with Spice FM in Hoima district, western Uganda, where he headed the editorial section for 1 1/2 years and concurrently freelanced for Uganda Radio Network. In 2009, during a climate change fellowship with Panos Eastern Africa, he did several radio features on the environment and climate change. Edward looks forward to deepening his understanding of oil and gas, a sector he believes will bring about a positive transformation in people’s lives. Francis is an assistant bureau chief for Daily Monitor in Fort Portal, western Uganda, and is also the newspaper’s correspondent in Bunyoro, the oil region in the west of the country. He has devoted his journalism career to gaining a deeper understanding of the political, social and economic ramifications of the discovery of oil in Bunyoro. In 2008 he won the western Uganda investigative journalist of the year award from the Eastern Africa Media Institute and Makerere University. He is also chairman of the Midwestern Regional Anti-Corruption Journalists Association. Haggai is a reporter with The Independent, a weekly magazine published in Kampala. He previously worked as The Independent‘s online editor for 1 ½ years, and also worked for The Observer. 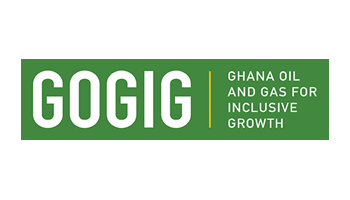 Haggai reports on governance issues and has covered oil and gas for the last two years. He extensively covered the standoff between members of parliament and the government over access to oil contracts. He also live-tweeted the proceedings from parliament. His recent live-tweeting of President Yoweri Museveni’s speech to parliament on oil garnered Haggai a large Twitter following. Hope has been practicing journalism for eight years. She is New Vision’s Fort Portal-based bureau chief for western Uganda. She is also a science reporter with articles featured regularly around the world. Although Hope’s initial interests were health, agriculture and the environment, Uganda’s discovery of oil motivated her to pay attention to the energy sector. She is looking at the RWI training to deepen her understanding of the industry. She believes the training will further develop her ability to report accurately and objectively and will alert her to the risks and opportunities that come with the discovery of oil. Joe is the northern-based bureau chief for Uganda Radio Network where he reports about health, education, agriculture, politics and business. He has done extensive reporting on transitional justice issues because he lives and works in a region that is recovering from decades of conflict and war. Joe began his journalism career in 2001 and has worked as a news reporter, anchor, editor and producer. He is passionate about journalism and mentoring future journalists. He is also a founder member of Media for Nature, an association of Ugandan journalists committed to reporting about climate change. He is thrilled to undertake training in extractives and looks forward to covering the story of oil and gas in northern Uganda, where it doesn’t get as much attention as in the western part of the country. Mark has been with The CEO Magazine, a monthly business publication, since June 2011. He previously worked for three years with the East African Business Week where he did regular updates on agribusiness, tourism, airlines, banking and telecoms. He published his first story on oil, “U.S. Expert Says Oil Agreements Good,” in March 2009. At the time, Mark knew very little about the sector but that was the beginning of a learning process. Since moving to The CEO Magazine, he has improved his business writing skills and written more analytical stories. Patience is the assistant producer of Uganda Radio Network’sNational Perspective Magazine. She is also its multimedia coordinator responsible for content on the agency’s website, blogging and managing URN’s social networks pages. Patience became a features contributor at New Vision in her first year at Makerere University. She later became part of the features team at the Daily Monitor, where she covered social services, commerce, science and technology, natural resources as well as arts and culture. Her journalism experience spans print, TV and online publishing. Ronald is an environmental journalist and contributing editor at The Green Chronicles, a monthly magazine he cofounded in 2009. He started out as an intern at The Sunrise, a weekly newspaper, before joining EnviroConserve AFRICA, an environmental and engineering magazine based in Kampala, with a focus on East Africa. Ronald has keen interest in the oil and gas sector and has written about its far-reaching consequences for both the economy and the environment. He hopes to make the most of the RWI training in order to improve his knowledge of the extractive industry and to advance his journalism career.